Hearts moved a step closer to coming out of administration after creditors of a failed Lithuanian bank approved the sale of shares in the club. Businesswoman Ann Budge has been awaiting an agreement so she can complete a £2.5m takeover of the Scottish Premiership outfit. Ian Murray MP said: "Ukio Bankas creditors met this morning and approved the deal. "Sale and purchase agreement needs completed, but we can say deal done." Ukio Bankas is Hearts' biggest creditor and owns 29% of the Edinburgh club's shares as well as security over Tynecastle Stadium. But that will now be sold following agreement at a meeting of the bank's creditors committee. It follows a deal signed last week with the bank's parent company, UBIG, to buy the investment company's 50% holding in Hearts. 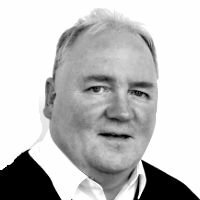 The football club's administrator, BDO, had feared running out of cash - and liquidation - had there been a further delay to the Ukio Bankas deal. However, it appears that this threat has now lifted and Murray, who had led the Foundation of Hearts fans group in its efforts to save the club, described it as "absolutely fantastic news." Millionaire former IT specialist Budge has fronted the cash for Bidco, the company that should now take over the running of the club. 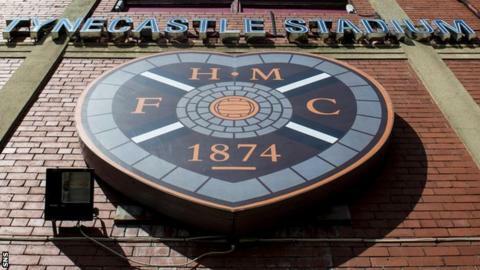 The 66-year-old will become executive chair "on a no-fee basis" before transferring ownership to the Foundation of Hearts within five years of gaining control. "This is the beginning of a new era for Heart of Midlothian Football Club," she said. "I would personally like to express my gratitude to the fans for their support and I am confident that together we can rebuild Hearts to once again become one of the greatest clubs in the country. "I'm very much looking forward to the beginning of this new chapter in the club's history. "We're not across the line just yet but this is a very positive step and we are almost there. "The fans have been magnificent throughout but I would urge them to keep backing the team in their numbers during the last few games to ensure we get to the end of the season. "The end is now in sight and together I am confident we can achieve our target." In the meantime, the foundation's 8,000-plus membership has pledged to donate cash on a monthly basis that will be used to pay for the club's running costs before Budge is given back the £2.5m. "After the UBIG meeting last Monday, we all felt the worst and thought this was never going to happen," Murray told BBC Scotland. "But it's great news and it's great credit to BDO and the supporters for not only backing the foundation but being robust during this process. "We're not quite there yet. There's still a little bit to go in terms of getting the sale and purchase agreement together, but we've got over pretty much all of the hurdles now and Hearts can hopefully look forward to a very bright future." Hearts can now begin exiting administration after 27 April - following of 20-day cooling-off period for the UBIG share deal. While sounding a word of caution about UBIG creditors' cooling-off period, BDO's Bryan Jackson said: "This is one of the final hurdles in the transfer of ownership of the club. "I would like to thank the creditors of both UBIG and Ukio Bankas for agreeing to this deal and also the patience and forbearing of Ann Budge and the Foundation of Hearts. "There is still some work to be done to conclude proceedings, but we are now very close to a successful conclusion." Gintaras Adomonis, bankruptcy administrator of Ukio bank, was also pleased that the process was drawing to a close. "The deal is very significant for us in several aspects," he said. "For the fans of Hearts, this has been a very emotional and difficult period and we are happy that this has now been resolved in an amicable way." Hearts entered administration in June with debts close to £30m. They started the season with a 15-point penalty for being in administration and sit bottom of the table, with relegation already been confirmed.